I've seen several threads about this but none with a solution. Basically, my clutch pedal requires a significant amount of effort to depress. The car has 132k miles on it, still on the original clutch. The clutch itself grabs fine and doesn't slip or anything, just has a pretty heavy pedal. I just flushed and bled the fluid today and that may have helped slightly, but the pedal still feels heavy. The fluid that came out was very dark, so I have no idea when/if it was ever changed. That said, there's only a few things it could be. 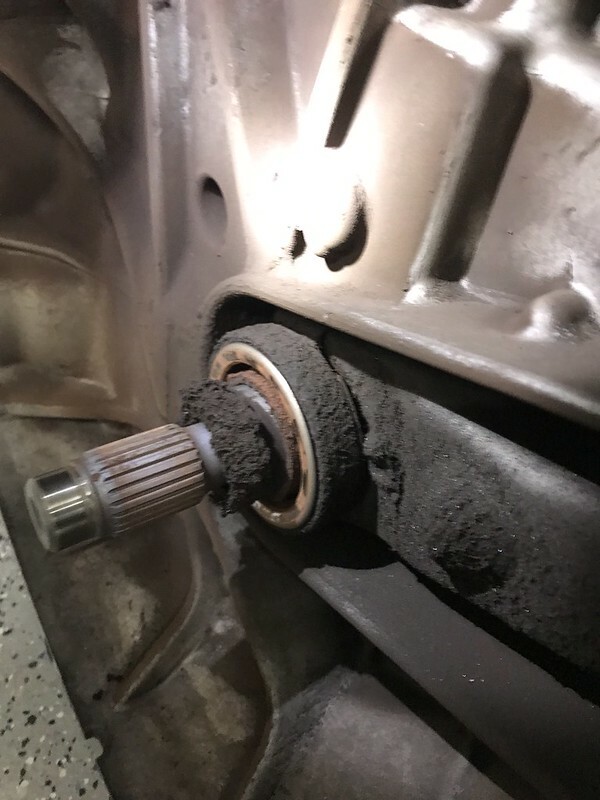 Its either the CMC, slave cylinder, some kind of binding of the fork or throwout bearing, spring pressure of the clutch, or gunk'd up clutch lines. I'm thinking about replacing the CMC and slave cylinder, and was considering adding a stainless braided line to replace the existing lines, but that would cost ~$250 for OEM parts and I'm not 100% sure that will resolve the issue. Has anyone else resolved the heavy clutch these cars tend to get (either on purpose or as a side effect to something else you changed) or do you just deal with it? Any input would be greatly appreciated. Have the parts that slide ever been lubed--just a shot in the dark. Since you're on the original parts, binding may be the only things as the rest don't increase resistance. If anything, spring related stuff including the pressure plate should decrease over time. I put what I thought would be a semi tough SPEC 3+ clutch in and it's easier to depress than my OEM 06. Outside of that I've been clutch trouble free but follow these threads waiting for my time to come. I feel like the pedal feel in mine changed when I changed my clutch, flywheel, and with new oem TOB. I had prior to that changed both CMC and slave and never noticed much of a difference in terms of pedal feel, had those parts fail on me multiple times. So I'd say I kind of doubt that's the issue, but since it's the cheapest starting point I might start there. Also, I believe the civic cmc is supposed to be better than the stock rsx one if you're driving the car hard so no harm in cleaning up that system, that's one of the cheaper "upgrades" you can do i think. Also, even if it is the fork or TOB gunked up (was my case, when I changed stock clutch at 163k mi) once you drop the subframe and check/service, pull the trans, at that point you might as well swap out your clutch and maybe flywheel while accessible. In this case, you're a lot more time/cost invested than the cmc and slave, especially if that cost of 250 or so alone has you concerned. Sorry if it's not a better answer lol but hope it helps, good luck! I have only had the car a few weeks, so I'm not sure, but I doubt it. I'm going to swap out the CMC, slave cylinder, and put a stainless line that will replace all the original lines and I'll grease up the fork where it meets the slave cylinder when I am changing everything. I'm thinking that changing everything on the hydraulic side will resolve the issue, but its hard to say for sure. I ordered OEM parts so if there is still an issue I wont be wondering if I got a crappy aftermarket part. This is my 3rd RSX and they have all had a pretty firm pedal. Maybe I'm just getting old now, but this one is firm enough where it hurts my foot after some in-town driving. I'll update this thread so inevitably when someone else looks this up they can see what worked (or didn't work) for me. Last edited by dustin02rsx; 04-14-2019 at 10:04 PM.. But what in he clutch would make it easier? I still can't understand why my stage 3 feels easier than stock, unless Stock is harder than that. I had a 5 once and it damn near killed my leg. 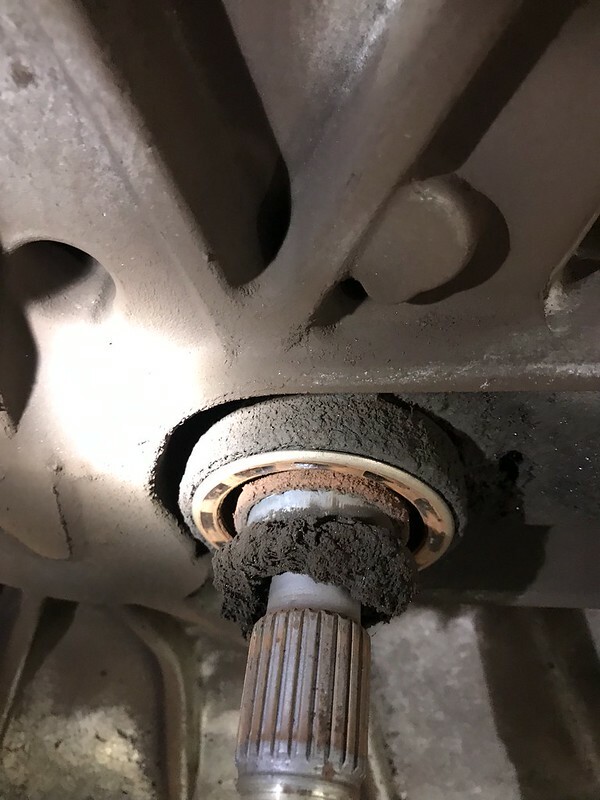 I'm guessing the input shaft of the transmission where the throwout bearing rides gets all gunked up and no longer slides freely thus requiring more force to move. Then when the clutch was replaced that was all cleaned and re-greased and slides freely again? That's the only thing I can think of. I wouldn't think the spring rate of the clutch would increase over time. yep exactly what i was thinking. I went from stock to stg 2 CC clutch and it felt smoother, and according to my mechanic's pictures i definitely think it only could have been the TOB on the input shaft. Like i said, had already changed cmc/slave 2/1 times respectively, and never had a change in pedal feel. and if anything, the new pp should be stiffer. Just watched a clutch replacement video on YouTube, and he basically confirms what we suspect is happening. The input shaft was all gunked up when he removed the transmission. Now I’m debating if I even want to bother putting the CMC on. I’m 99% sure that’s not the problem now. Just changed the CMC and slave cylinder and it may have slightly improved pedal feel, but the pedal is still pretty heavy. Gonna pull the transmission this weekend. So I pulled the transmission today, and sure enough the input shaft was completely gunked up. I could barely move the release fork by hand. I bought another clutch, but Im debating about just putting it back together with just a new throw out bearing just because the oem clutch grabs fine. Either way I'll post an update after I get it back together. Nice job, since it's apart make it all new. But you seem handy, so let it roll. I ended up putting the new clutch kit in while I had everything apart (Exedy OE replacement). I can confirm the pedal feels amazing now. I haven't driven it yet, but I verified the clutch feel as soon as I got the transmission back in the car and it feels great now. I also polished the release fork pivot points and it no longer squeaks, which is nice.